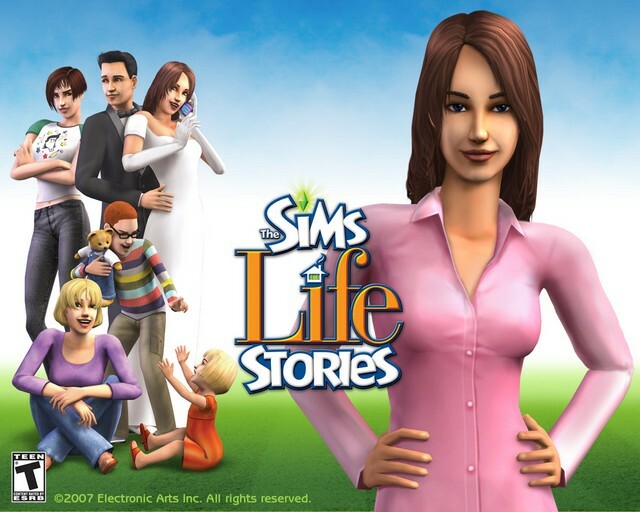 Aspyr Media’s The Sims Life Stories: Girl meets boy in the big city … the rest of the story is up to you! Control. Sometimes just the mere mention of that word can send certain people into a haze. But deep down inside, everybody wants it. Aspyr Media’s new release of The Sims Life Stories gives you control of the fate of two people: Riley and Vince. Riley is an urban girl who’s been fired from her job in the city. She moves in with her aunt in the suburbs, meeting new people and having a chance encounter with an old flame. Vince is the Bill Gates of the Sim world. He’s got it all…except someone to love. You determine what their fates are… kind of. See, what’s new about Life Stories is that you don’t really play God, it’s more like Moses instead: you receive instructions on what the character is supposed to do, and make him or her carry it out. (This is called “Story Mode.” Say it with me, class: Sto-ry) For example, in Riley’s story she is supposed to learn a recipe before her friend comes over. You have to make her do it. But (thank goodness) the classic style is also included (it’s called “Classic Mode.” Say it with...oh, never mind). The Technical Specifications are actually pretty good for whatever Mac you have (you do have a Mac, right? of course you do… otherwise you wouldn’t be reading this). It clarifies itself as “Mac Laptop Friendly,” because it doesn’t require some flashy graphics card or fast processor. (Remind anybody of Doom 3?) You can use any Mac, as long as its speed is at least 1 GHz fast and it’s running Mac 10.4.8 or above. It's Universal Binary for Intel Mac compatibility. Have fun, but remember: their fates are (sort of) in your hands.